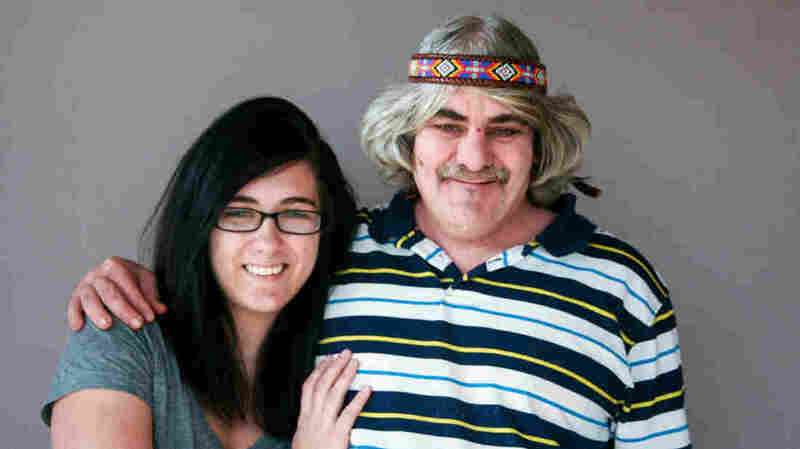 StoryCorps: A Father-Daughter Relationship Strained By 'Mental Illness And Time' Shotzy Harrison's dad has spent most of his adult life homeless. Growing up, he was in and out of her life. They reunited in 2013 before he disappeared again — but she hopes she'll see him again. In their 2013 conversation, they remember looking at pictures of the basement Shotzy had fixed up for James. "You said, 'I'm going to be living like a king,' " she told James. "You rescued me!" he told her. Earlier that year, James had been one of around 1,500 patients who had been discharged from the Rawson-Neal Psychiatric Hospital in Las Vegas without support services and bused out of state and across the country. A reporter covering James' story — and the eventual civil lawsuit filed against the state on his behalf — had called Shotzy to tell her he was living in a boarding home in Sacramento. Shotzy decided to take him in. As a parent herself, Shotzy had been cautious about the living arrangement. 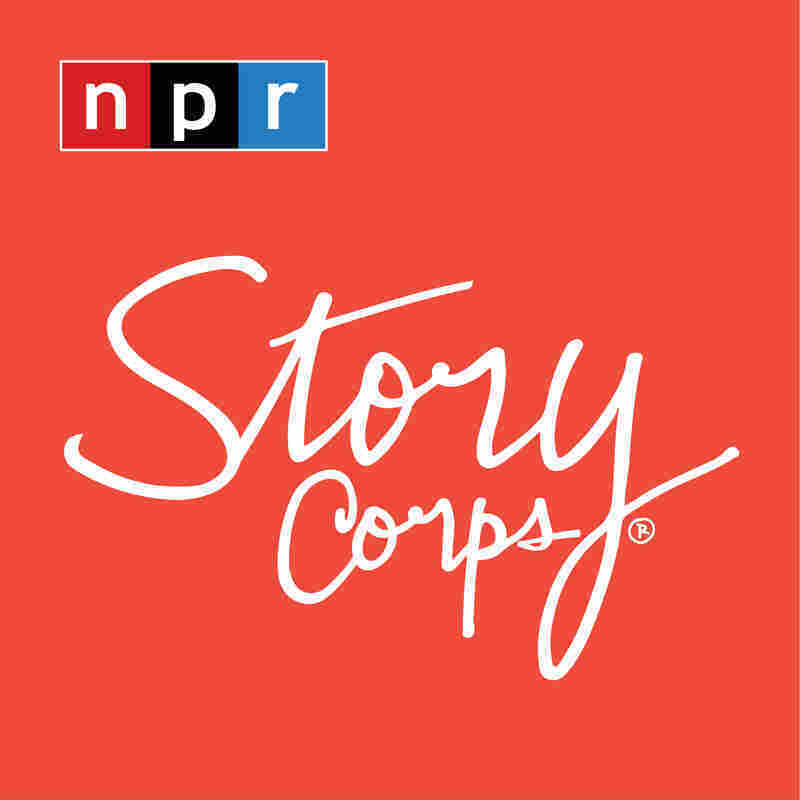 "I have two young girls and I don't always feel like you're the best influence on them," she told James at StoryCorps. "It's just that you're a little rough around the edges and uncouth and used to being homeless and not used to anybody — especially your daughter — telling you what you can and can't do." Still, over what became nearly 10 months spent together, they shared fond memories. James recalled one night in particular. "I was feeling real bad, and you held my hand until I went to sleep," he said. "You said, 'Daddy, you can stay with me as long as you want to.' "
Shotzy had looked forward to making up for the time they'd lost and hoped his mental illness would stabilize so that they wouldn't lose any more. "I'm going to try my hardest to make sure that I don't lose you again because you're good at that disappearing act," she told him. "I'm lucky to have you back in my life. I love you." But Shotzy and James lost contact a few months after the interview. Shotzy says she hasn't lost hope that she'll see him again. But she can't help but think about the worst-case scenario. "I absolutely want to reunite with him again," she told StoryCorps in December 2018. "And it's in the back of my mind that he's gonna be already dead and I'm gonna find that public record. That's a crushing thought." "One of the things that keeps me going is I have a little of his stubborn will," she says. "And there's something powerful between a father and a daughter that mental illness and time hopefully can't break." Produced for Morning Edition by Michael Garofalo and Jud Esty-Kendall.